This abstract wall clock will add a bold and unexpected pop of color to your home decor. Acrylic Pour art is on trend, always one of a kind and just cool! The base of the clock is reclaimed wood, making this piece a eco friendly solution. 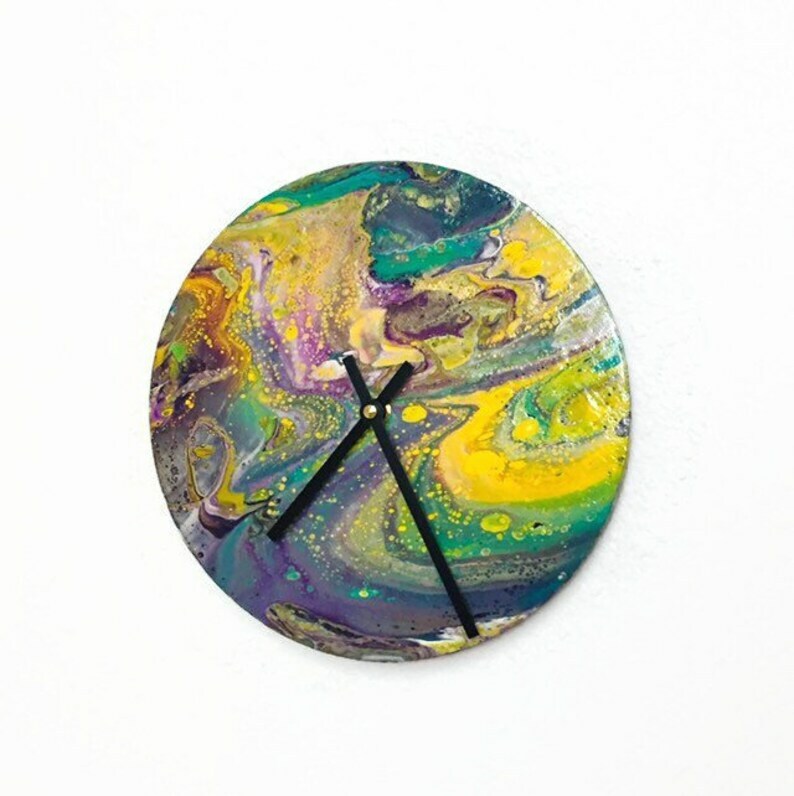 This marbled clock is ready to ship and one of a kind. The clock size is 10” x 1/4" thick. The clock is sealed to protect the colors. The back of the clock is painted black. To see more Shannybeebo Clocks here..